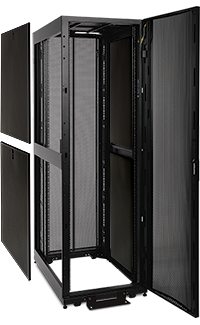 Tripp Lite’s SmartRack® Euro-Series Rack Enclosures have sturdy steel frames and locking cabinets to secure and organize up to 1360 kg of EIA-standard rack equipment in 42U and 47U configurations. They provide safe home for servers, storage and other network hardware. Front-to-rear airflow supports efficient hot-aisle/cold-aisle configurations and exceeds server manufacturer requirements to keep equipment operating reliably. Euro-Series racks ship fully assembled and have casters, leveling feet and stabilizing brackets for rapid deployment. 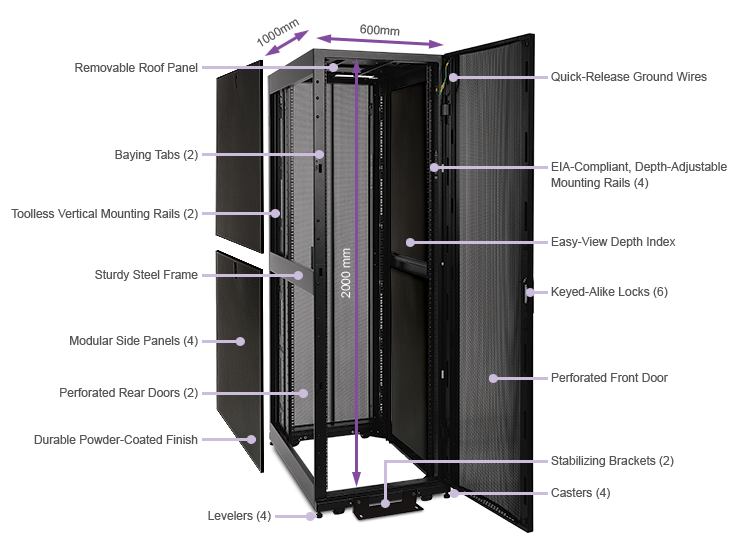 Features like quick-adjust mounting rails, modular side panels and toolless mounting slots for vertical PDUs and cable managers facilitate installation and configuration. Standard Width & Standard Depth—Low/medium-density server applications. Extra Width & Standard Depth—Networking and blade server applications. Standard Width & Extra Depth—High-density networking and blade server applications. Extra Width & Extra Depth—High-density networking and blade server applications. Fill out the form below and a Tripp Lite power specialist will contact you within 24 business hours. Please send me information about Tripp Lite products via email. Tripp Lite is a global manufacturer of power and connectivity solutions for people and organizations that depend on their technology. From uninterruptible power supplies (UPS) and power distribution units (PDU) to cables and rack cabinets, we offer over 4,000 products that enable our customers to organize and protect their critical computer and electronic equipment. © Tripp Lite. All rights reserved.